D to enable the churches on appropriate occasions to respond to the needs of society and to witness to the Gospel together. 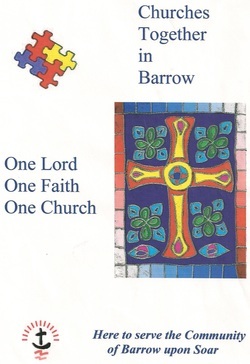 Currently the four churches are Holy Trinity Anglican church, Barrow Baptist church, Barrow Methodist church and Barrow Catholic community. The enabling group meets three times a year to plan joint activities. LENT CHALLENGE 2014 - read the NewTestament in 40 days.